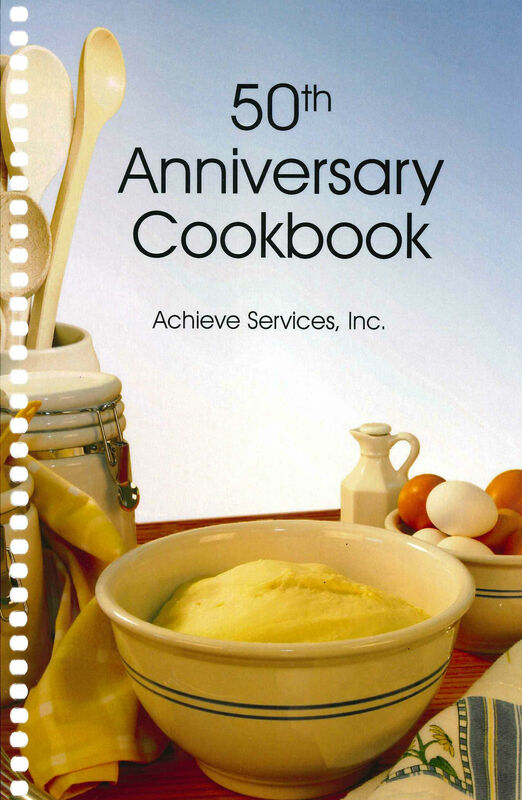 50th Anniversary Achieve Cookbook - Achieve Services, Inc.
Achieve’s 50th Anniversary Cookbook features over 200 recipes from appetizers to desserts and everything in between! 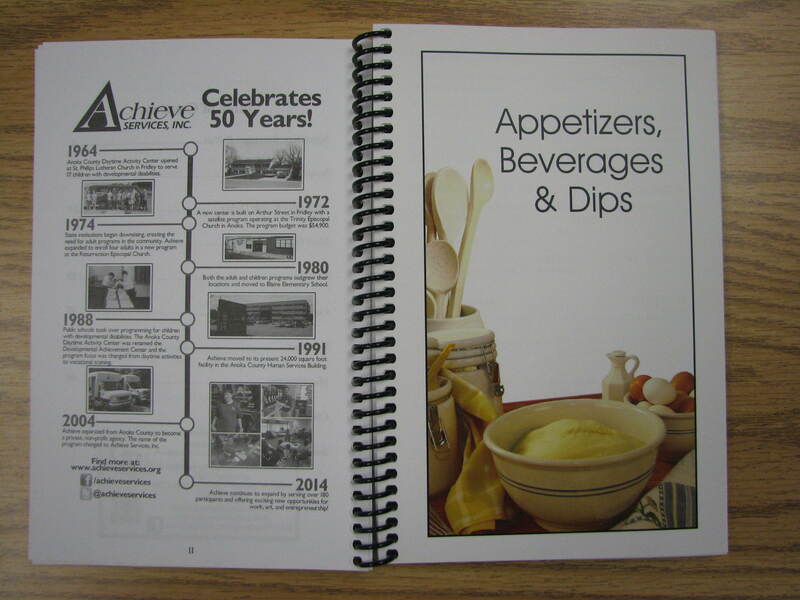 Some of the popular recipes include buffalo ranch chicken dip, chicken tortilla soup, porcupine meatballs, pasta primavera, applesauce cake, brigabeiros (aka chocolate death bombs), pumpkin muffins, and MANY MANY MORE! 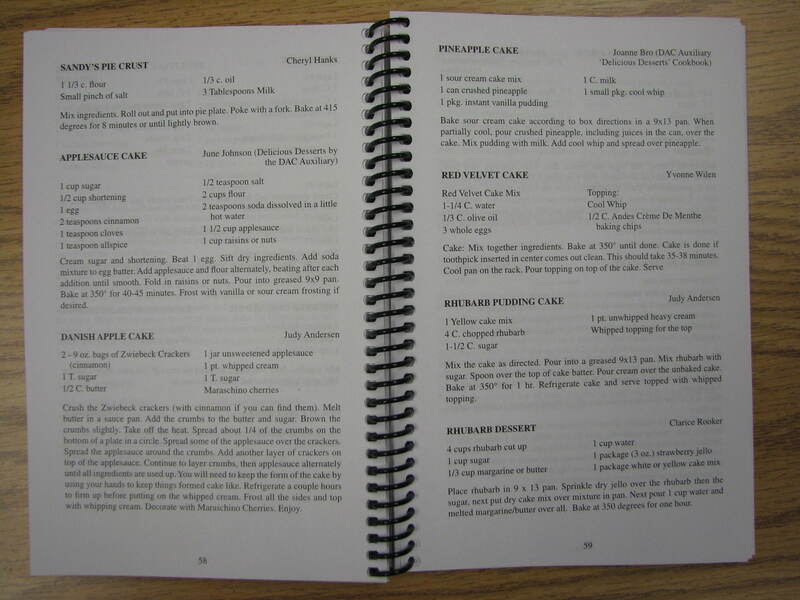 In addition to recipes there are cooking and cleaning tips, measurement guides, and more!